Obviously, you should shop around for any type of insurance, but these are the most common types of insurance that people have, usually because they’re required by local law. Why shop around? For better rates, of course. Shopping around for homeowners and automobile insurance can easily save you as much as 50% on your annual premiums. For people who dump thousands into their insurance annually, that’s a lot of money saved. So, how do you do this? What are the steps? The first thing you need to do is to get quotes from the competition. Unless you’re considering radically changing your insurance package, you should try to get quotes on policies that are similar to the ones you already have. The process for getting a quote is easy. It usually just involves filling out a series of questions, then the insurance company checks your credit score and other aspects of your background (which is done automatically). They use this information to generate a quote for you, which is usually passed along within a week. You can usually sign up for insurance using that quote. If you want, you can use insurance comparison packages like NetQuote. While this can save some time, my experience has been that you can often get even better quotes by hitting the pavement a bit yourself. One great tactic is to talk to agents for the quotes. When we were shopping around for insurance, most of our best quotes actually came from agents on the ground rather than working with online quotes. 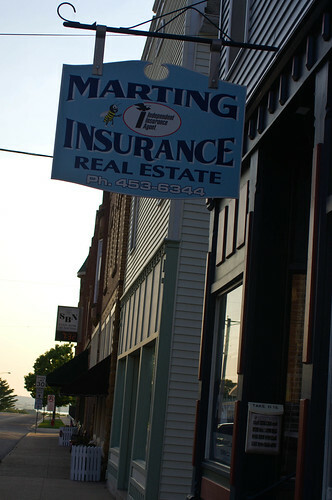 While you’re getting quotes, you should also investigate the insurance houses. For example, you don’t want your insurance to come from an insurance house with abysmal customer service, even if the rates are cheap. On the other hand, you don’t want to pay a lot more for insurance when the customer service isn’t any better than another company. Service matters to an extent (you want to avoid lemons and a small premium is okay for top service), but it’s only part of the equation. You should also consider getting bundled quotes. In other words, can the company offer you a better rate if you get multiple types of insurance from them? Many companies offer substantially reduced rates for bundling. If you decide to go with a new insurance, make sure you’re not double-insuring. Most insurance companies will work with you to ensure that there isn’t any overlap. So, if you decide to switch and your current policy ends on September 15, the new company can make sure your new policy starts on the 16th instead of today. Overlapping insurance means that you’re paying extra money for something that doesn’t really help you, so it’s best to be avoided. The goal with all of this is to trim the money you’re spending on insurance premiums while maintaining the quality and level of coverage you have. Shopping around for insurance every once in a while can accomplish that quite nicely.